You’ve got tunes, your friend has tunes. What if you could easily tap two music libraries and create your own DJ mix, swapping seamlessly between audio sources? Christian Komm and Robert Thomalla created the POKKETMIXER for exactly that scenario. Plug it into two audio devices, connect it to your sound system, and you’re ready to mix. 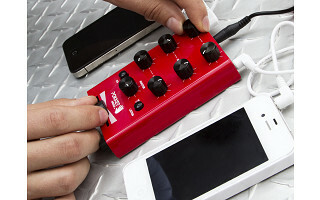 POKKETMIXER works with any audio device that has a headphone output -- smartphone, MP3 player, notebook, iPad, or PC, for example -- and it connects to a sound system such as a stereo, boombox, docking station or car radio. It’s a passive device, designed to run without batteries or electricity from any other source, so it’s always ready for action. The idea for POKKETMIXER was hatched on a road trip, when Christian and some friends were arguing about whose music to play and wishing they could hook their MP3 players together and mix the libraries. Christian looked for a simple device to connect and mix music, but when he couldn’t find one, he and Robert started tinkering and built their first handmade mixers in Berlin, Germany. Ideal for teens, party hosts, music lovers, and road trippers, POKKETMIXER lets you be your own DJ and explore your music in a new way, fading between songs and setting up transitions. It’s lightweight and needs no power supply, so it’s easy to bring with you everywhere you go. When you’re ready to party, two iPods are better than one! Hey everyone, my name is Aaron and I am here with The Grommet. Unfortunately, Chris is unable to join us from Berlin today, but I am happy to answer any and all questions you may have! Can you change the pitch of a song to match or beat match? @Guest Good question. The POKKETMIXER is really designed as an easy-to-use music mixer, which unfortunately means it doesn't support some more advanced audio processor functions such as pitch shifting or time shifting. You’ve got tunes, your friend has tunes. What if you could easily tap two music libraries and create your own DJ mix, swapping seamlessly between audio sources? 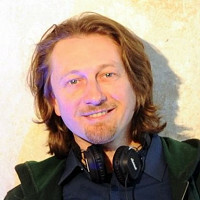 Christian Komm and Robert Thomalla created the POKKETMIXER for exactly that scenario. 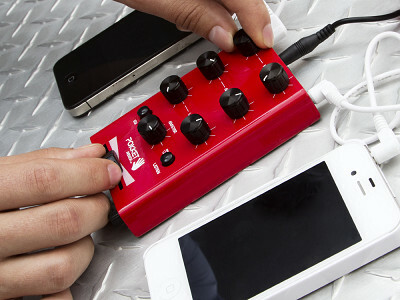 Plug it into two audio devices, connect it to your sound system, and you’re ready to mix. POKKETMIXER works with any audio device that has a headphone output -- smartphone, MP3 player, notebook, iPad, or PC, for example -- and it connects to a sound system such as a stereo, boombox, docking station or car radio. It’s a passive device, designed to run without batteries or electricity from any other source, so it’s always ready for action. The idea for POKKETMIXER was hatched on a road trip, when Christian and some friends were arguing about whose music to play and wishing they could hook their MP3 players together and mix the libraries. Christian looked for a simple device to connect and mix music, but when he couldn’t find one, he and Robert started tinkering and built their first handmade mixers in Berlin, Germany.